After two acclaimed novels, Taikor (nominated for the 2006 International IMPAC Dublin Literary Award) and Mamasan, Malaysian storyteller Khoo Kheng-Hor now brings youthis epic novel, Nanyang. 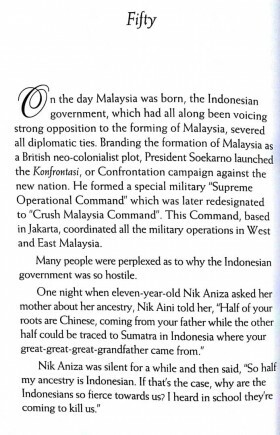 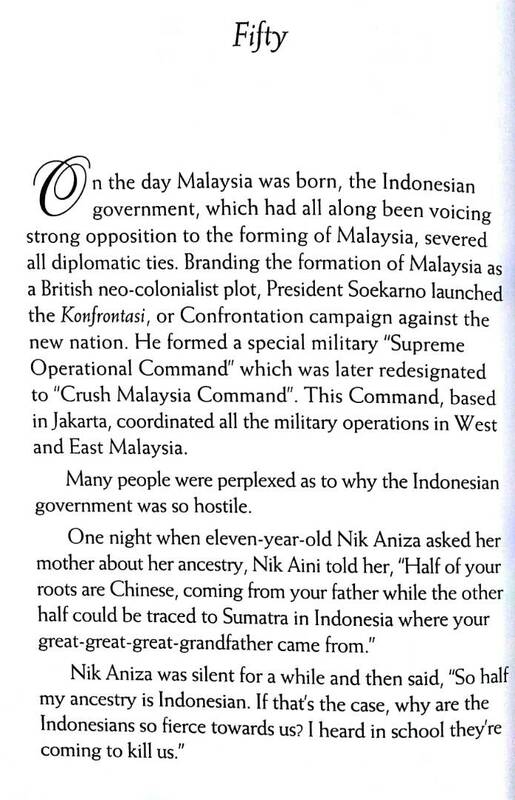 Today, many people around the world have heard of Malaysia and Singapore. 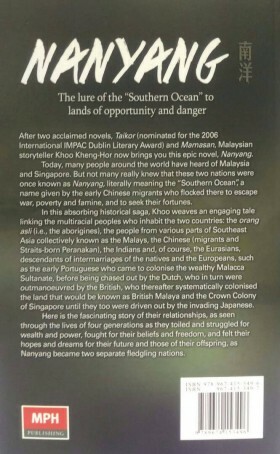 But not many really knew that these two nations were once known as Nanyang, literally meaning the 'Southern Ocean', a name given by the early Chinese migrants who flocked there to escape war, poverty and famine and to seek their fortunes. 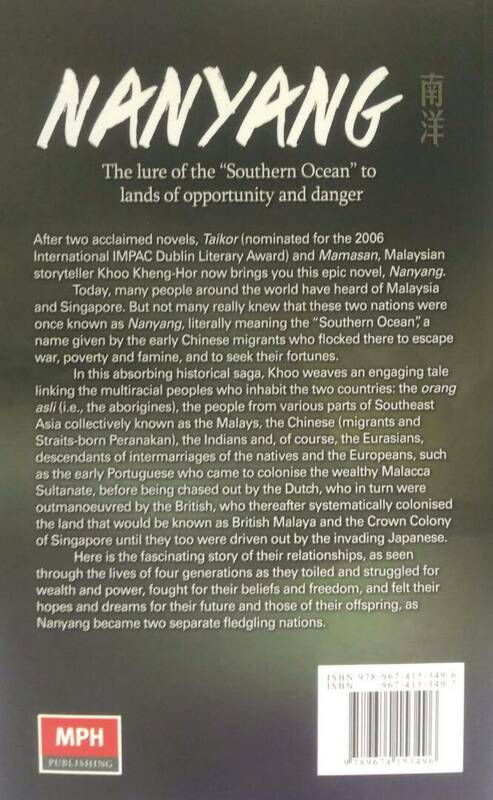 In this absorbing historical saga, Khoo weaves an engaging tale linking the multiracial peoples who inhabit the two countries: the orang asli (i.e., the aborigines), the people from various parts of Southeast Asia collectively known as the Malays, the Chinese (migrants and Straits-born Peranakan), the Indians and of course, the Eurasians, descendants of intermarriages of the natives and the Europeans, such as the early Portuguese who came to colonise the wealthy Malacca Sultanate, before being chased out by the Dutch, who in turn were outmanoeuvred by the British, who thereafter systematically colonised the land that would be known as British Malaya and the Crown Colony of Singapore until they too were driven out by the invading Japanese. 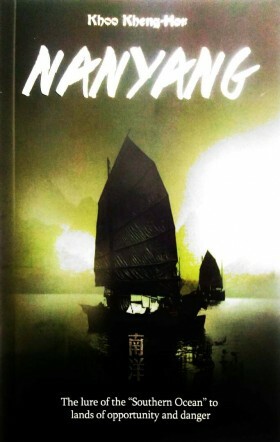 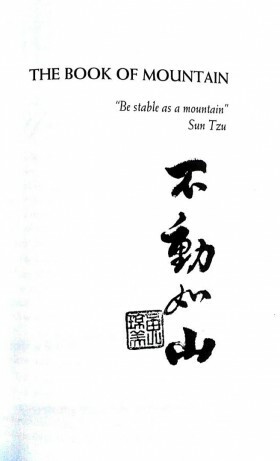 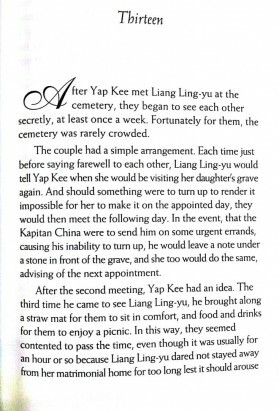 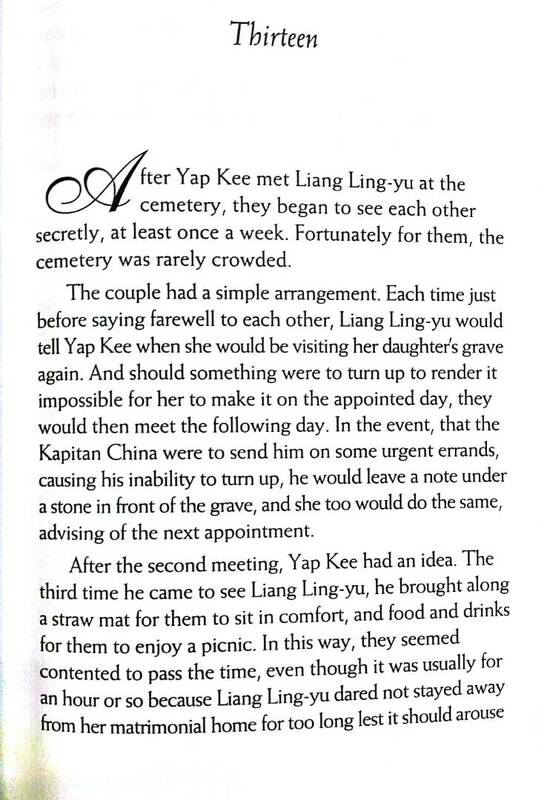 Here is the fascinating story of their relationships, as seen through the lives of four generations as they toiled and struggled for wealth and power, fought for their beliefs and freedom, and felt their hopes and dreams for their future and those of their offspring, as Nanyang became two separate fledgling nations.